Well this is a very fast meet. As fast or faster than our Sr. National Championships. Of the 8 events swam this evening 7 new Junior Pan Pac records were broken. So the Canadians are in tough. The Ausies have brought 8 swimmers from their Sr. Pan Pacific team. Of course the Americans are very strong with many US National finalists on their team. The Island boys swam well today. 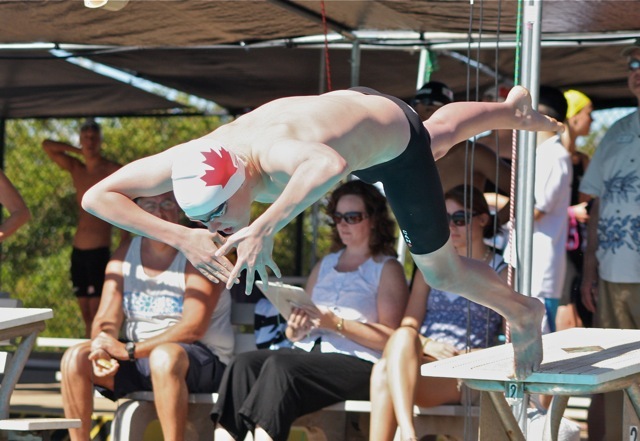 Jeremy was the closest Canadian to the podium finishing 4th in the 200 free with close to a personal best at 1:50.91. Alec also made the A final in the 200 free and swam a respectable 1:54.40 for eighth. The 1500 was tight all the way through the field. Will Brothers led the Canadians in the morning heats with a PB of 15:55.60 eventually finishing 11th overall. 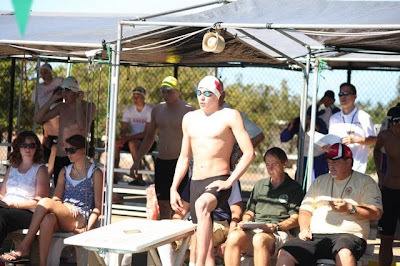 Not bad for one of the youngest swimmers in the meet. Alex and Keegan swam in the final heat at night with another close race between the two teammates. Keegan swam to a 7th place finish with a time of 15:44 and Alec just behind in 15:47 for 8th place. 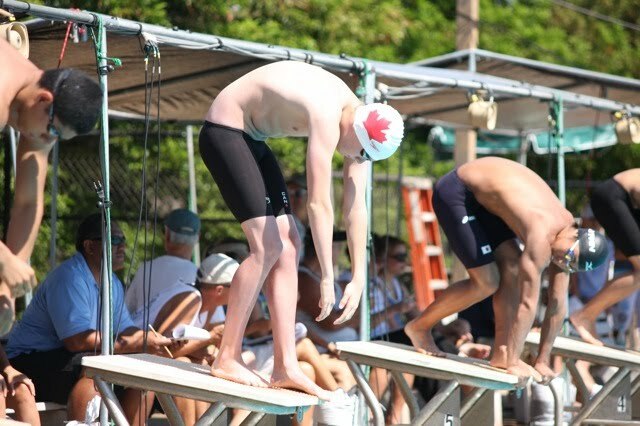 It looks like the future of Canadian men's distance swimming is very healthy thanks to Ryan's success. Tomorrow will bring up Jeremy, Kyle and Keegan in the 100 free. Will and Alec will take on the some the best 18 and under male swimmers in the world in the 400 IM.